The current Home Office at the corner of S.W. 8th Street and Walton Boulevard was just what Walmart needed in 1971. 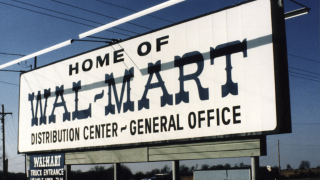 Back then, Sam Walton recognized the company had outgrown its space on the Bentonville square. Newer and more spacious offices were needed to support the company’s ambitions. As we grew in the years that followed, so did our Home Office footprint, but without a holistic long-term plan. The result was today’s patchwork of more than 20 buildings in Northwest Arkansas. Many of these facilities, including the current Home Office, are significantly beyond their shelf life. They are expensive and inefficient to maintain, costing millions of dollars of accelerating upkeep every year. And because they are so dispersed, they literally encourage us to work in silos and cause us to waste time and energy traveling between locations, many of which have inadequate parking options. For some time now, we’ve been concerned that this ad hoc office network actually inhibits our ability to compete in the rapidly changing retail landscape. We need to be curious, collaborative, agile and accountable if we are to win in the future. We need a workplace that fosters those skills and traits. That’s why we’re pleased to announce that we’ll be building a new Home Office on a tract of land located along J Street in our hometown of Bentonville. We intend to bring most of our Home Office associates in Northwest Arkansas onto a central campus with accommodations for a more digitally native workforce and space that encourages greater collaboration and speed. You’ll see improved parking, meal services, fitness, and natural light – yes, natural light. Plus, the campus will be integrated into the community trail system, for easy walking and cycling access. The combined changes will help us get the most out of our existing team, while helping us attract high-quality talent in the future. I can assure you the project will be true to our roots, supporting a culture of servant leadership, which puts customers and associates first, and maintaining our commitment to fiscal and environmental responsibility. There’s still a tremendous amount of planning, design and coordination to be done and the property must be readied before we even begin construction. Overall, we expect the project will take five to seven years to complete. But today’s announcement formally kicks off the process of working with city and state officials, as well as other stakeholders, to move the project forward. We’re convinced this positions us well for the future. 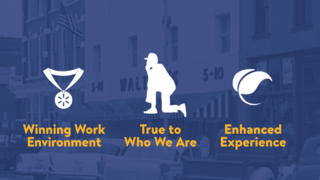 And I’m proud to say we’re going to be a continued part of the community that the Walton Family, building on the legacy left by Sam Walton, cares so much for.